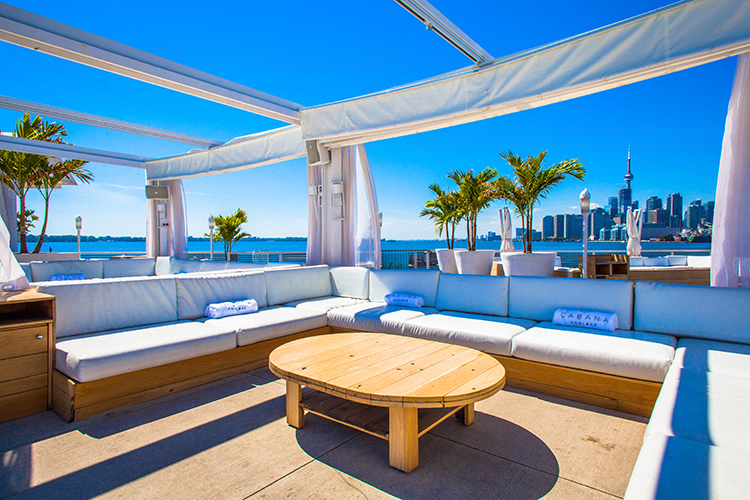 Cabana Pool Bar at Polson Pier transforms Toronto’s waterfront into a “Day-to-Night” party spot. 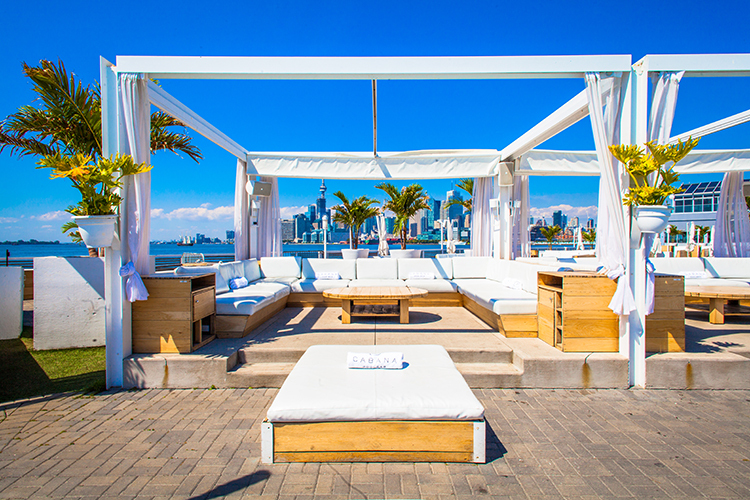 Cabana Pool Bar is unlike anything Toronto’s waterfront has ever seen. Nestled on the Polson Pier and being an exclusive, privately owned waterfront property, it is changing the landscape of Toronto’s hospitality industry. Cabana Pool bar offers those wishing to plan truly unique events with unparalleled versatility. Five distinct areas – lakefront, poolside, solarium, north & south patio – gives guests the ability to tailor the space for an event of 20 or 2500 guests. A combination of the different spaces extends capacity right up to 2500, so at Cabana Pool Bar the possibilities are endless.